Alex weds in Michelle Roth Orionv2 gown. 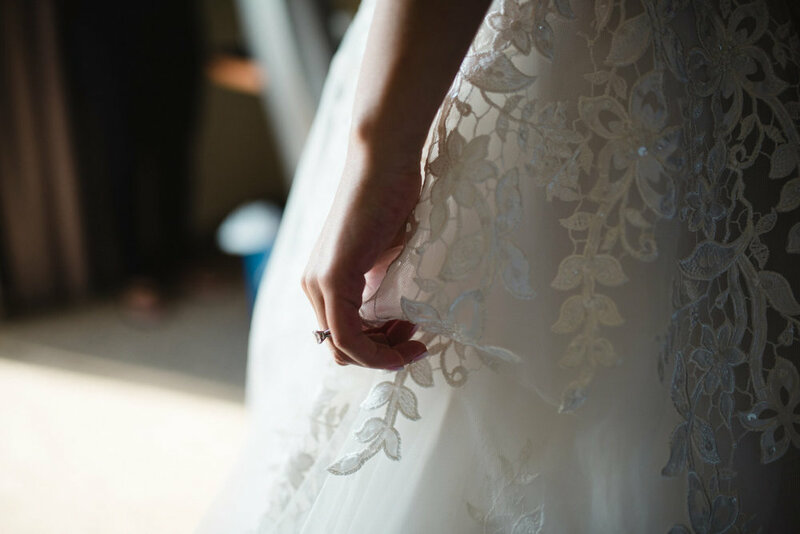 "I was never one of those girls who knew the type of dress she wanted to wear on her wedding day, so when I went to Kleinfeld to try on dresses, I wanted to try a bit of everything. What I did know, however, was that I wanted my dress to make a statement without too much glitz and glam. After my first round, I thought I had found 'the dress', but when I went back to try it on again, it just didn't feel right to me anymore. O returned for a second time, and tried on the Michelle Roth dress and when I came out of the dressing room and saw the tears in my family's eyes, I knew already that it was special. when I looked in the mirror, I instantly fell in love. It was perfect. The dress truly made me feel like a princess and like a bride. 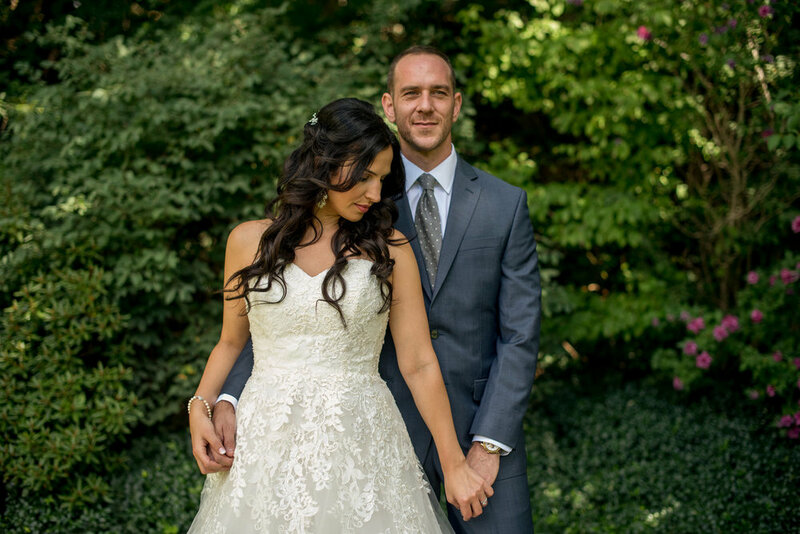 everything about the gorgeous lace detailing was breathtaking and I didn't want to take it off!"